How do I view my past transactions? Open the Settings Drawer and tap “Transaction History”. 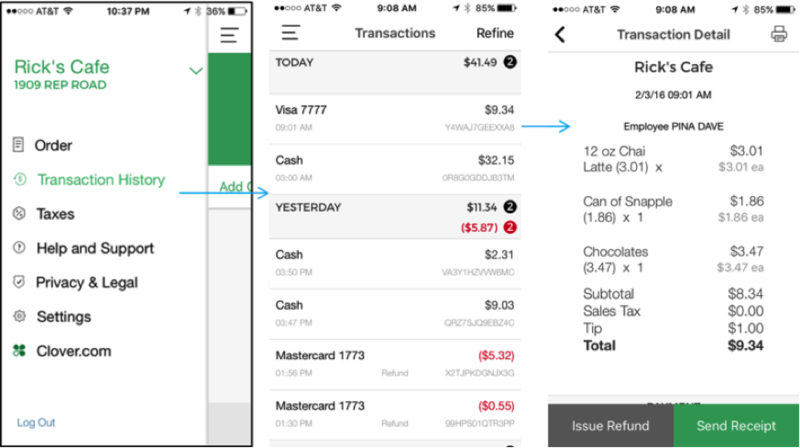 You can tap on an individual transaction to look at a copy of the receipt. The Transaction History can also be accessed via the Transactions app in the Web Dashboard. Why do I only see the last seven days of transactions in the Transaction History? The display defaults to the last seven days. You can change the date range by tapping the Filter icon or the word “refine” (depending on device) in the upper right corner. 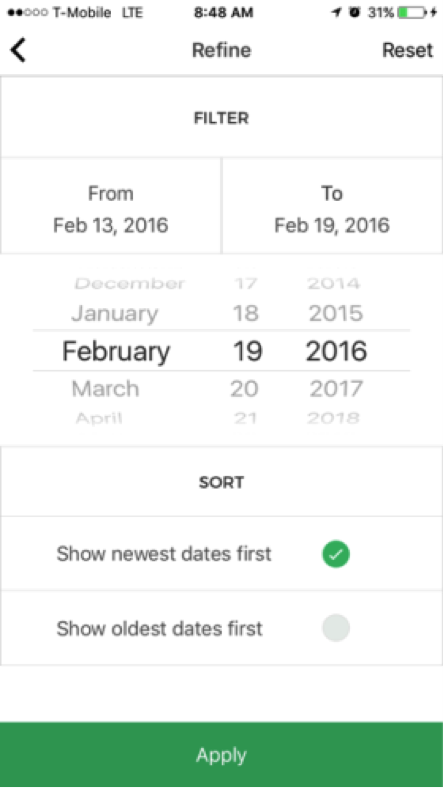 You can enter a date range and/or choose the sort order, then tap “Apply” to get a different view. What is Register Lite Plan? How do I refund a transaction on my VX520?